Liv Monica Stubholt has more than 20 years of experience as a corporate lawyer, with particular expertise in negotiations, contract drafting, business development, restructuring and reorganization processes. Liv Monica has held several top executive positions in business and government. She works primarily with ocean industries such as the seafood and energy sectors. She is especially qualified within governance and compliance, and she has valuable understanding of political processes. Over the last 15 years she has developed considerable expertise in various sectors, including oil and gas, renewable energy and seafood, along with High-North and Arctic issues. She advises both Norwegian and international corporations and organizations within these sectors. Liv Monica is specialized in corporate governance and the cooperation between companies’ administrations and their boards. She holds several non-executive board positions in the energy and seafood sectors. 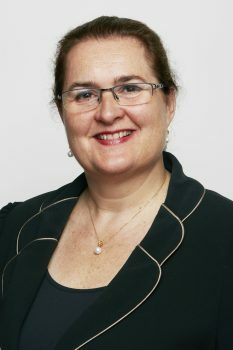 Liv Monica’s many years of experience have provided a particularly good understanding of decision-making processes within the public sector. Liv Monica is an inspiring and renowned comunicator, and serves widely as a speaker within energy-related topics, High-North and Arctic issues, European community law, as well as providing guidance on corporate governance. She is a council member of the Centre for Petroleum and Energy Law at the Faculty of Law in Oslo. Liv Monica is Chair of the non-executive board of the Norwegian Russian Chamber of Commerce and Board Member of the Norwegian German Chamber of Commerce.